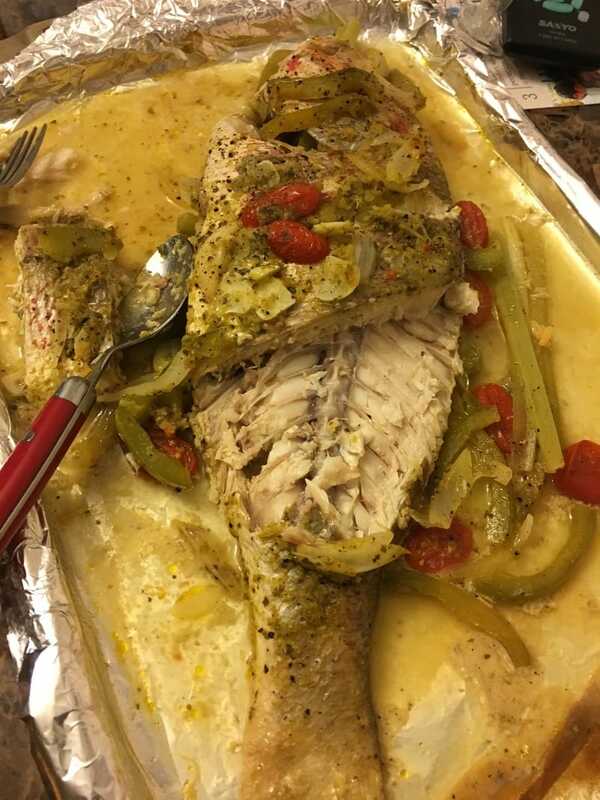 Growing up, I hated fish only for 1 reason, the bones... It was too time consuming to eat because I was literally "fishing" for bones rather than stuffing my mouth with it the way I wanted to. Don't get me wrong, I love fish but really preferred the fillets because they were boneless. My mother, however, was the fish queen in our home. Do you remember those cartoons that would show a fish's skeleton with the bony head and body intact? I kid you not but that's how my mom ate her fish! I have no idea how all the meat was perfectly cleaned off but the only thing that would be left behind was bones, literally! She even ate the eyeballs! Anyway, not too long ago, someone blessed us with a lot of seafood. We had shrimp, red snappers, and other fishes galore. 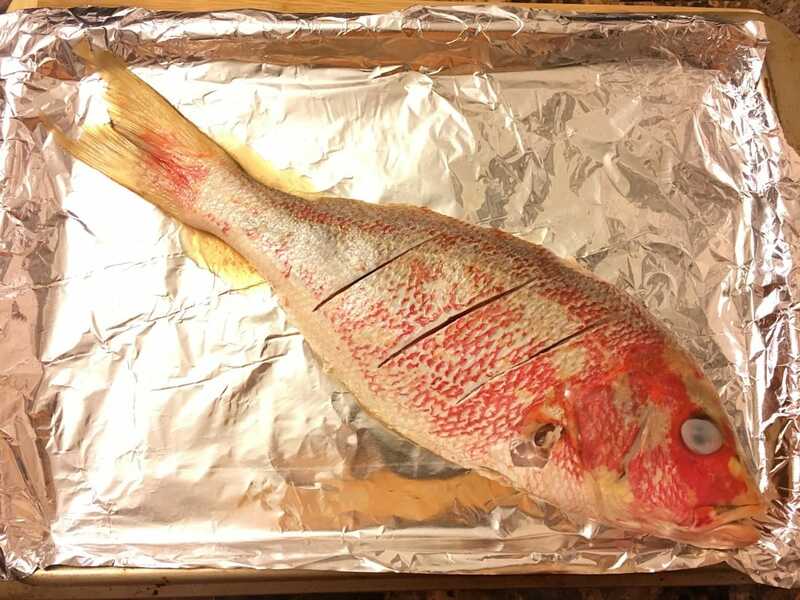 We had so much red snapper (more than 10) and had to give some away. They were huge and we couldn't fit them all into our freezer. 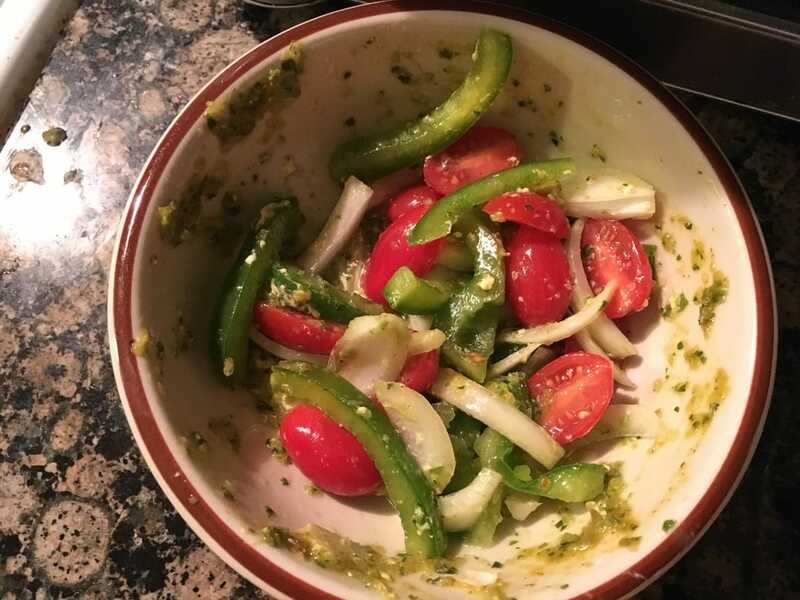 With the ones we had, my husband and I would experiment with different recipes. We called my mother for some ideas, got some ideas online, and made up some of our own. This one is one of our favorites. It's a combination of something we picked up online with the addition of our own ingredients. We had several different times to play around with the recipe and this one, by far, was one of the best. I hope you give it a try. 2. 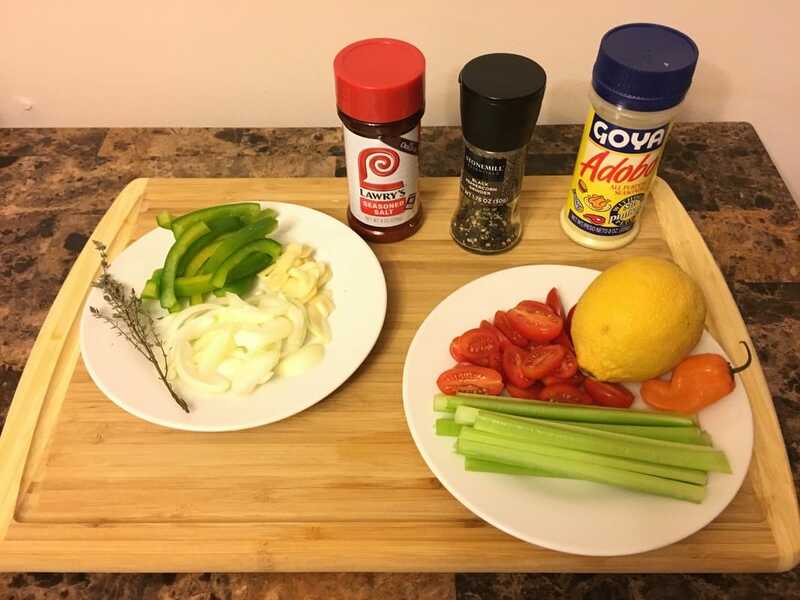 To make the marinade, squeeze the juices of 1 large lemon into a bowl. To that, add 2 tbsps. of epis, 3 - 5 garlic cloves that have been sliced, 1/2 tsp. Adobo, 1/2 tsp. seasoning salt, and 1 tbsp. of softened butter. If desired, you can add 1/2 to 1 scotch bonnet or habenero pepper that have been sliced with the seeds removed. Mix the ingredients well. 3. 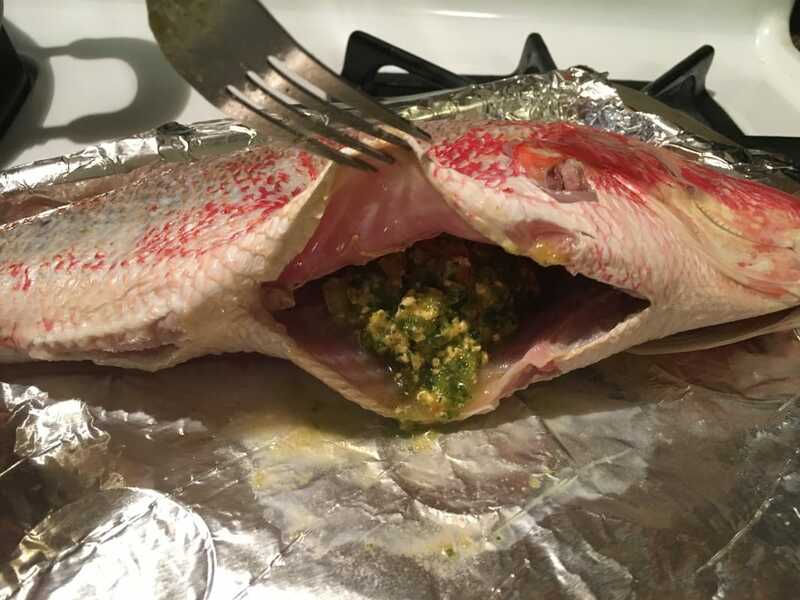 Spoon in some of the marinade inside the fish and use a basting brush to spread it around. Take some of your vegetables (onions, celery, tomatoes, green peppers) and stuff as much in there that can fit. 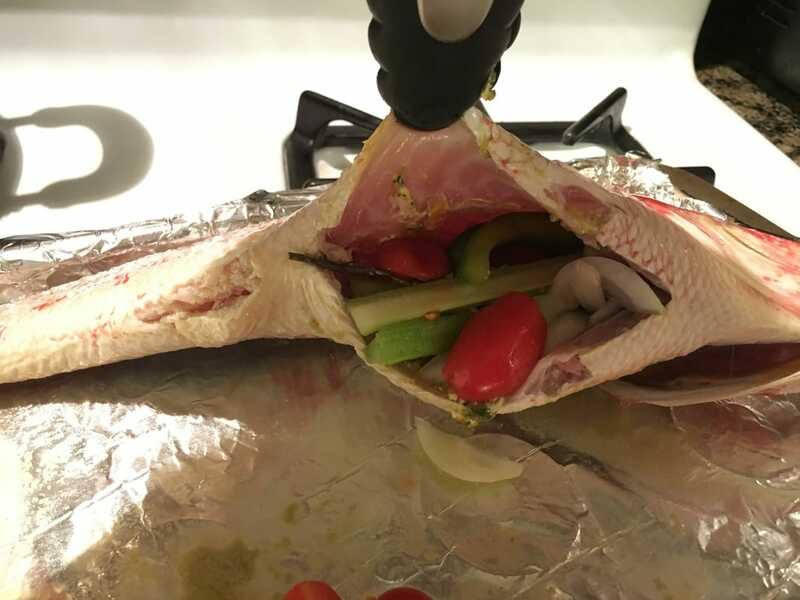 Using more marinade, brush some onto the fish and into the slits on it's body. Be sure to flip the fish and do the same thing on the other side. My husband and I took a couple sticks of celery and rammed it into the fishes mouth. It's not part of the recipe but we thought it was funny. 4. Add the remaining vegetables to the rest of the marinade and mix it well. 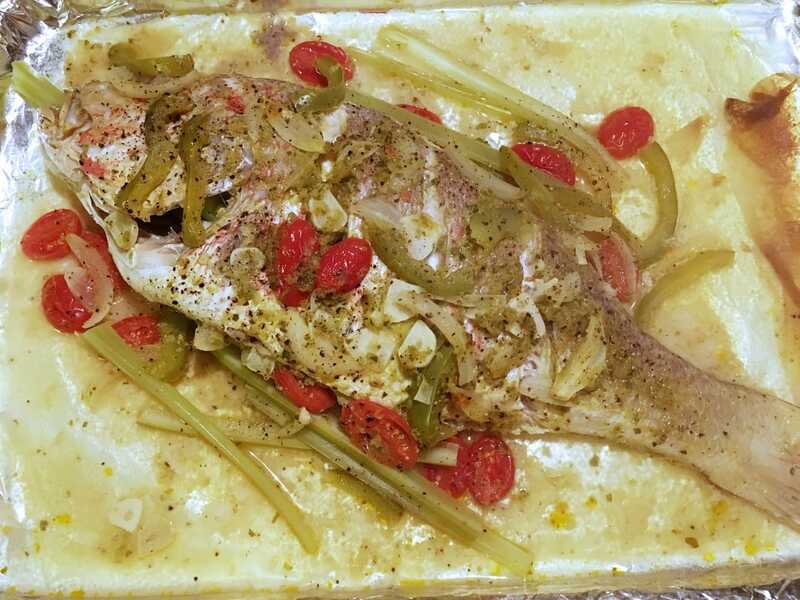 Place the vegetables and marinade on and around the fish and sprinkle fresh ground pepper on it. Let it marinate in the fridge for about 30 minutes to an hour. 5. 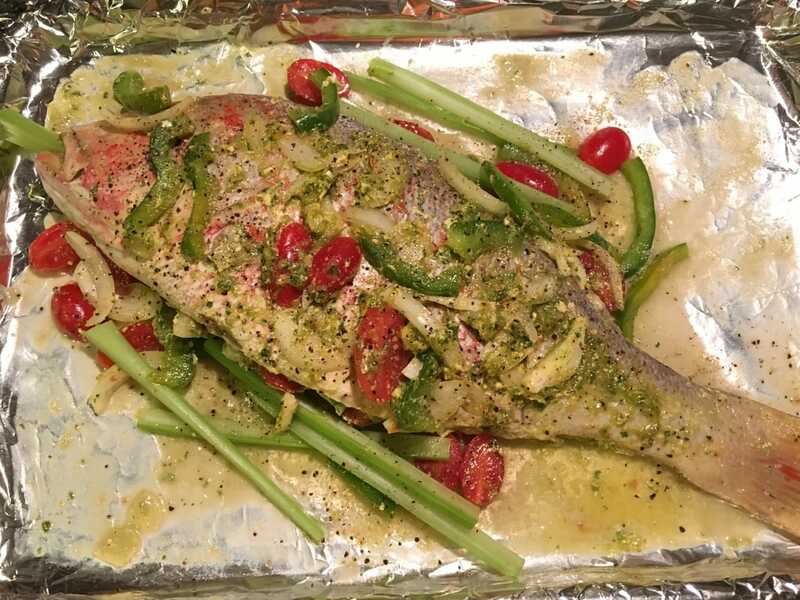 After marinating, cover it with aluminum foil and place the fish in a preheated oven at 350F for 30 minutes. 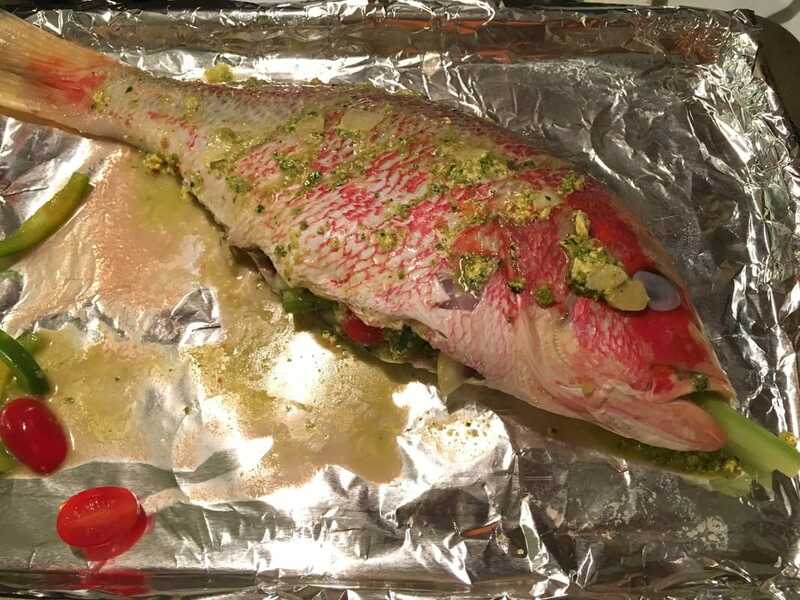 The fish was so big it couldn't fit on a plate so we ate it right off the baking sheet. It was juicy, flaky, and flavorful. The vegetables were also perfect and retained a delightful crunch. This would accompany a boiled plantain or a side of rice very well. 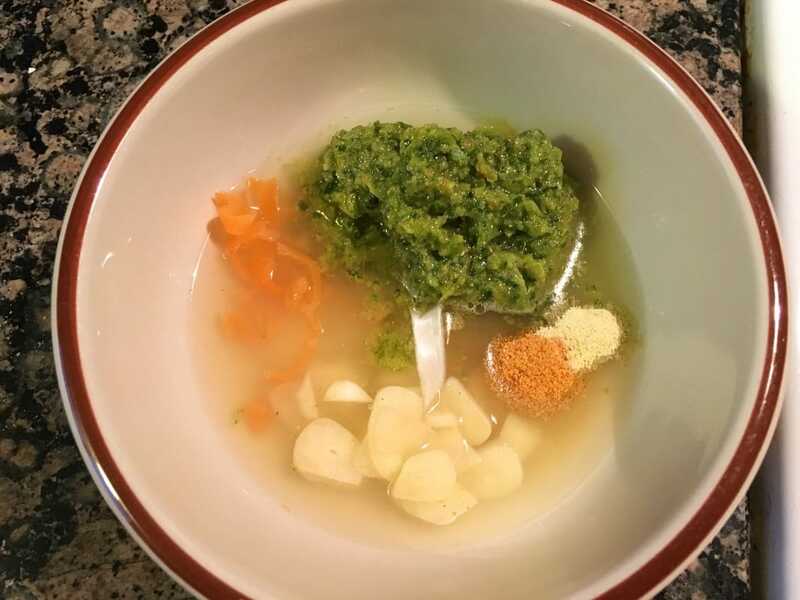 What do you think of this recipe? How do you like your fish? ​Let me know and comment below! Want to be notified when new recipes/topics are posted? Subscribe below! Like, Follow, & Share me on Facebook!